The #JESCWeek is officially over and the winner has been decided! 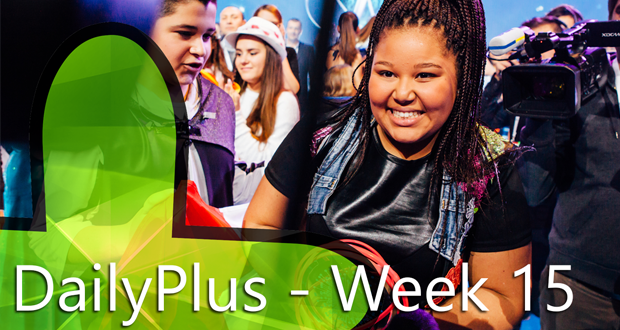 Today at DailyPlus, we have a nice mix of both Eurovision and Junior Eurovision news! Malta has won Junior Eurovision 2015, Armenia placed 2nd and Slovenia finished 3rd! Regarding Eurovision, Australia has been invited back to Eurovision next year, and controversy has made Germany take back their planned Eurovision 2016 act. Last but not least, of course, the song of the week! Don’t forget to subscribe for future “DailyPlus” episodes on the official ESC+Plus channel on YouTube. You can also subscribe to my channel for more videos about music, culture, and of course Eurovision!